High performance replacement screws, shafts, barrels, and accessories for more than 27 brands. Robust machines designed to stand up to the most demanding production environments. A complete line of feeders and cutting equipment. We strive to deliver maximum value by focusing on industry standard designs, reliability, and aftermarket sales and support services. 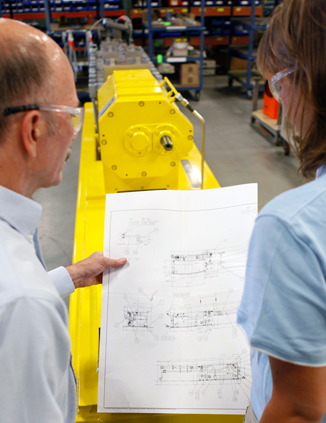 Our industry standard designs and processing section allow customers to take advantage of the Extrusion Group value proposition without shouldering the high costs of qualifying a new process section geometry. We offer the industry’s most comprehensive selection of twin screw replacement parts and specialty wear solutions. Century Extrusion replacement parts are designed to meet or exceed OEM specifications in every way.